With the numbers to prove it successful, LinkedIn recently decided to immerse itself in B2B video. As a marketer, the hardest task to accomplish is capturing the right audience. With B2B video, users now have the ability to create content that reaches audiences the right way. Videos are more enjoyable to watch over traditional ads and they allow you to present your company to your audience in a variety of ways. LinkedIn Video Advertising has been proven successful but what advertisers have trouble with is figuring out how exactly to create video content that will engage with the correct audience. LinkedIn says that by 2020, 80% of consumer internet traffic will consist of video content. 90% of users say that watching videos helps them in the decision process as to whether or not they should go through with a service or product. 73% of B2B marketers say that video advertising positively impacts their marketing ROI. With all these statistics, it is a no-brainer that LinkedIn video advertising is the way to go. Once you have your objective and metrics, you must develop the most vital part of the video: the content. The content varies depending on your objective. Videos for brand awareness and brand consideration have similar content in the sense that they are both trying to get your attention and get you to perceive the company in a certain way. Videos that focus on demand generation are a bit more forward. The content produced with a demand generation objective is more to the point, wanting you to buy a service or product. Our attention span is very short, so grabbing a viewer’s attention from the start is extremely important. When creating any video advertisement, make sure that you show your audience exactly what you want them to see in the first 10 seconds. Even if a viewer clicks off after the first 10 seconds, at least they got the general idea of the ad. Make sure that your video ad is designed in a way that is appealing to a viewer. Boring graphics or lots of words will often turn people away. Inserting subtitles within your ad is also extremely important. Many people tend to scroll through LinkedIn without actually clicking on the video. There can be a ton of reasons as to why a person chooses not to fully open and listen to an ad with a full screen, but regardless this can’t be the reason why your ad does not compete as well. Add subtitles and make it easy for someone to view an ad without actually hearing the audio. Lastly, make sure that the dimensions of your video are correct so the video is clear and formatted properly. Tailor ad to meet the objective categories described above. Make sure you choose your text above your video wisely. It is going to introduce your video and may be the deciding factor as to whether or not someone views your ad. Also, make sure to have a clear CTA (call to action) that will guide viewers in the next direction. Lastly, don’t target too small or too large of an audience. Conduct your research and see what fits your business best. Conducting A/B testing will help you determine what elements of your ad work. You can test different content, video length, audiences, text or more! LinkedIn Video Advertising benefits from LinkedIn’s data tool, which provide you with demographic reporting which allows you to see what audiences have the highest video view rates. This helps you improve your targeting and narrow down your audience. You don’t need to be a professional or own a really expensive camera to produce good content for your Linked video advertising campaign. Getting yourself a small tripod, simple mic, a LED light or a shutter remote shutter release will help improve your video content immensely. 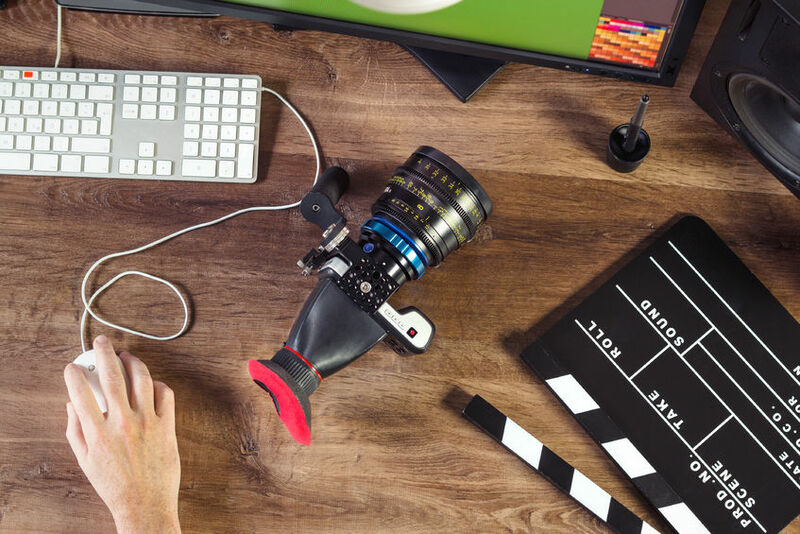 Buying this equipment can be costly, and filming takes time; why not contact us and see how we can help you create a successful ad campaign?